The world's fastest species of shark, shortfin mako, is moving closer towards extinction, conservationists fear. Shortfin makos are frequently taken as bycatch in longline and gillnet fisheries targeting tunas and billfish - but are also solely sought after for their meat and fins. According to the Independent, the shark "isn't subject to any international fishing restrictions despite populations falling by up to 60 percent in some regions." 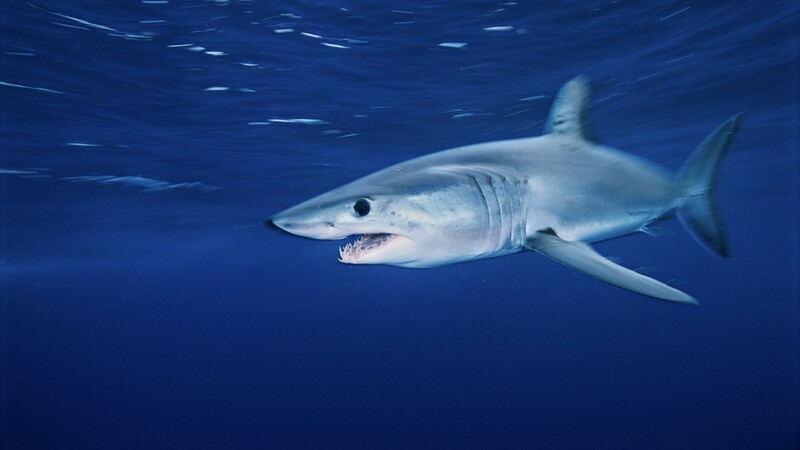 In 2004, the shortfin mako was labeled as 'vulnerable', but the International Union for the Conservation of Nature's latest assessment of sharks has officially announced the species as 'endangered'. Co-chair of the ICUN's Shark Specialist Group, Professor Nicholas Dulvy, said: "Our results are alarming and yet not surprising, as we find the sharks that are especially slow-growing, sought-after and unprotected from overfishing tend to be the most threatened." Animal conservation organization, WWF, claims a total ban of Atlantic shortfin mako shark fisheries is the 'only way to give mako sharks a chance of recovery in the coming decades'. The charity also expressed concerns that the species 'will continue to decline under the current fishing trend'.